Each year, nearly 200 dental professionals join us in East Africa on our Dental Volunteer Programmes, using the skills they know and love to teach Health Workers in emergency dental care. Whilst volunteering with Bridge2Aid, each and every volunteer changes the lives of thousands of people. Without them, we simply wouldn’t be able to make the impact we currently do. my work but sometimes felt like I wasn’t doing anything that was making a difference which made me feel deflated and frustrated. As I began to do research, I came across charities involved in developing countries but it was Bridge2Aid’s ethos that really interested me. They provide emergency dental care in Tanzania to those with no access to a dentist, and provide a sustainable solution to this problem. They do this by training Clinical Officers who work in remote communities to take teeth out safely. my flights and accommodation I decided to fundraise, which I found the thought of very daunting. 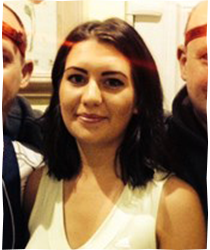 I had never fundraised before and this was a sizeable target for my first attempt. Happily, I had the support of Bridge2Aid and my amazing friends and family. I did numerous events including a clothes sale, a couple of charity nights and a sponsored run with my dad and uncle. and support provided is so thorough I had no hesitations. There is no way to sugar-coat Africa, the deprivation I witnessed was heart-breaking and it really puts things into perspective. Many of our patients had been in pain for many months, even years. They were so grateful for what we were doing for them and Tanzania is a beautiful country – I loved it. was so rewarding – passing on my skills which would in turn benefit thousands of people in remote communities. On the last day in clinic, we treated patients in the morning and in the afternoon we had a ceremony for the Clinical Officers. On that afternoon they were each presented with a certificate and set of hand instruments to enable them to carry out extractions. For me, it wasn’t until this final day that it really hit home what we were doing. Wow! We hadn’t just treated as many patients as we could; we had trained these Clinical Officers so that tomorrow, next week, or next month when we aren’t here, they can relieve a patient from dental pain. Sharing the feeling that you had made a real difference with the whole team was amazing, I can’t fully describe it and I have never felt quite like it. Even writing this brings the memories and I am sat with a smile on my face. 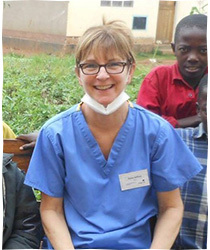 Elaine, a Dental Nurse and Practice Manager, took part in the Dental Volunteer Programme in February 2013, February 2015 and is due back in February next year. I qualified as a Dental Nurse in the 90s and have worked for the last 14 years as a Practice Manager in a large NHS practice. I had thought about taking part in DVP for some time and last year I finally decided to do something about it. In February I travelled to Mwanza, Tanzania and then on to Musoma on the East Coast of Lake Victoria in order to assist volunteer Dentists with the training of Health Workers in emergency dental care. During the 6 days on site every single patient we saw had their own story to tell. Most had travelled many hours to attend the clinic. A lot of the patients had suffered excruciating and debilitating pain for years which left them not able to work and support their families. Some had even been outcast from their village as they were unable to contribute to the community. I saw lots of young children with badly decayed teeth. Witnessing such desperation made our work so important and I went to bed most nights knowing that we had given dignity and self-esteem back to many people. The feeling of having made a difference to so many lives was very powerful. One of the roles of the DVP dental nurse is to teach Oral Health Education to the Health Workers, including cross infection control. This was an important part of the training – it was about preventing problems rather than curing them. Fantastically, the 6 Health Workers participating in the training based in Musoma successfully completed the programme. That’s approximately 60,000 people who now have access to safe, free treatment where previously there was none. The Health Workers were ever so grateful, they are proud people who enjoy caring for their community as they do. The training in emergency dental care empowered them even more so, and with the basic instrument kit provided by Bridge2Aid given, they are now serving their communities and providing access to dental pain relief as and when it is needed.